End of the year is the time for gratitude and giving. I am grateful that together we are making the world around us a better place for children and adults. A special thank you to our generous supporters for their amazing donations that allowed us to take 4 teenagers to Poland and Switzerland this year. 2013 was a big year for us. 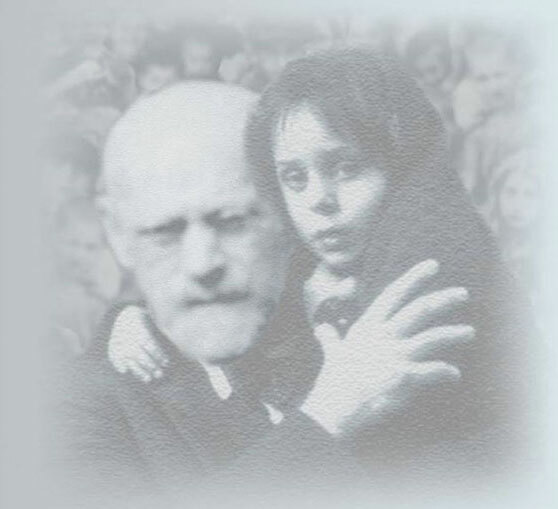 Together, we were able to establish Janusz Korczak Association of the USA, create a Facebook and LinkedIn presence, publish our first newsletter, and introduce many new people to Janusz Korczak ‘s educational ideas and our special way of working with children, parents, and teachers. There is much more coming in 2014. We hope to add many new people to our Korczak Association. We are planning a one day pilot for a Korczak camp in the US, considering to take more Children to Korczak Camp in Poland and Youth Conference in Switzerland during the summer. Thanks to my association with the Rockland County School Health and Wellness Coalition, I will be bringing the Five Star Program © to the Head Start of Rockland, Rockland BOSCES, and Rockland Children’s Psychiatric Hospital. 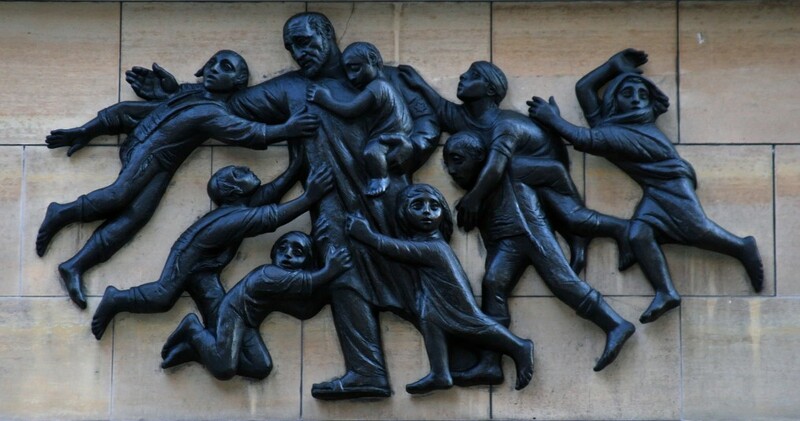 Plans are also under way for a one-day workshop for NJ school teachers, sponsored by the New Jersey Commission on Holocaust Education to introduce them to Korczak’s pedagogical ideas with specific examples of lesson plans for their classrooms. “Politicians and legislators make rules and decisions about children which often fail to work. But who asks the child for his opinion or consent? Who is likely to take note of any advice or approval from such a naïve being? I wish you and your family a happy and healthy holiday season and a wonderful New Year 2014. I look forward to seeing or hearing from all of you soon. To those of you whom I did not meet personally, I look forward to welcoming you in person to our Korczak’s circle in 2014. Overviews of media coverage and the 2012 Annual Meeting. In 2012, the British Columbia Pediatric Society granted an honorary membership to Janusz Korczak himself. An article by group of UBC students, “Dr. 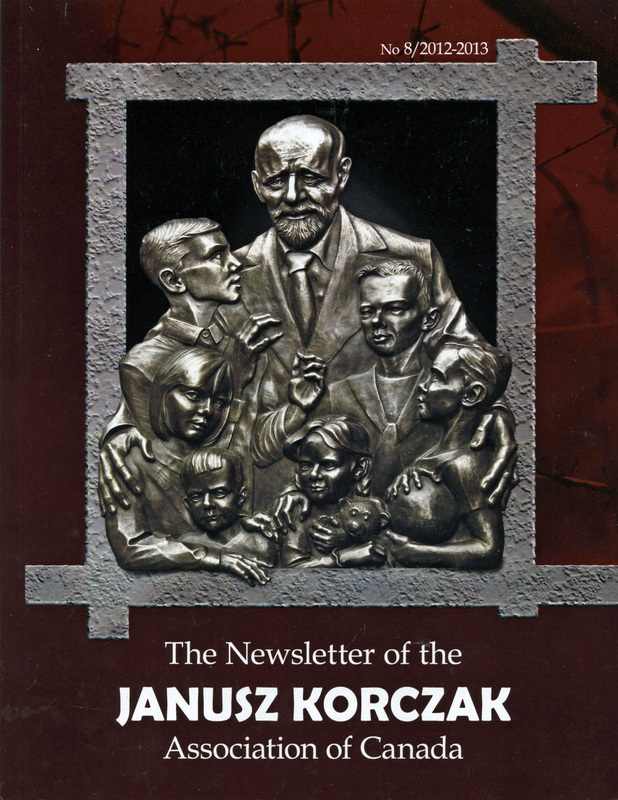 Janusz Korczak and His Legacy,” gives a perspective on Korczak by young scholars; a short but important bibliography is included. JKAC member Olga Medvedeva-Nathoo gives an overall perspective about Korczak’s life and reviews a theatrical production of King Matt the First performed in Vancouver in June 2012. Included are beautiful poems and photographs of this important theatrical production. Dr. Galina Sanaeva chronicles the many discussions a controversial article, “They Had a Conscience,” which appeared in the November 7, 2011, National Post. Dr. Sanaeva also covers the news of a monument to Irena Sendler being erected in Poland. Irena Sendler knew Korczak and held a life-long admiration for him. The past two years also saw the introduction of three books dedicated to Janusz Korczak, May Their Lot Be Lighter – Of Janusz Korczak and His Pupil, by Olga Medvedeva-Nathoo, a book of poems by Richard Mirabel, and Janusz Korczak: A Bibliography – English Sources, 1939–2012, edited by Olga Medvedeva-Nathoo and Galina Sanaeva, with contributions by Edyta Januszewska and Daniel Berek. Each of these titles is reviewed in detail, with excerpts and illustrations. “My Journey as a Child Holocaust Survivor,” a lecture delivered by Dr. Robert Krell at the United Nations General Assembly, New York, on January 27, 2012. “If Janusz Korczak Would Be Alive Today,” by Dr. Zbigniew Rudnicki, and translated form the Polish into English for the first time. Tom Lasker. Abenteuer in Alter Welt, by Hans Georg Friedmann. “King Machuch the First and the United States: A Theatrical Approach, or Against Stereotypes,” by Robert Weiss, along with an excerpt of his adaptation. Songs by Portuguese-Canadian singer and songwriter Awna Teixeira. This 156-page periodical book contains a wealth of scholarship on material hitherto not accessible to the English-speaking world. It also includes many fascinating photographs and illustrations, along with important bibliographies on new sources of literature on or related to Janusz Korczak. The writers and editors of the have done a masterful job in creating an important contribution to the scholarship on Janusz Korczak. My heart aches for your passing but sings with joy with your greatness. You started a long walk to freedom and kept on waking; even after finding freedom, you continued your march for human justice. You are a titan among men, a Mohandas Gandhi, a Martin Luther King, Jr. Though I bid you farewell, Madiba, you will be in the hearts of people everywhere – most important, children. The New York Times cover is right not to mention the word “death” on its eloquent front cover.